Aahhh…how many of you would agree with me that the first drink of the day just has to be a nice cup of tea? Don’t get me wrong, I love coffee, but as my family and friends will confirm, it’s a cuppa all the way. But not any old cuppa. I’m afraid I’m a bit of a tea purist / philistine (call me what you will) and I must have it made a certain way. Hot, sweet (one and a half sugars please) and a decent colour. Not too strong and not too milky. Why you ask? Because my tea drinking tastes are totally and inextricably linked to childhood memories. For me tea falls into the realms of ‘comfort food’. Every sip evokes a reminiscence. Sitting sipping milky sweet ‘builders’ tea from my granddad’s pint mug as I listen to the goon show on his 1970’s plastic sofa. Coming in from his garden after playing on the swing and warming myself by the gas fire. Tea takes me back in time as well as waking me up for the day ahead. Because tea takes me back I’ve never really got on with other types of tea. Green tea, mint tea, camomile…nope sorry. I like the occasional Early Grey (although I couldn’t stomach it when I was pregnant and that put me off for a while) and English breakfast. The rest of the household is less rigid in its approach. Sean likes mint and ginger teas. The teen would live on anything fruity (although she hates ‘normal’ tea) and the kid…well he’s up for trying anything! I have discovered though that Clipper tea’s come closest to satiating my need for ‘comfort’ and taste, while also being ethical and principled. I find it amazing that they have been in business since 1984 (and yes I do remember them in the early days!!) and they were the first to introduce fair trade tea in 1994. 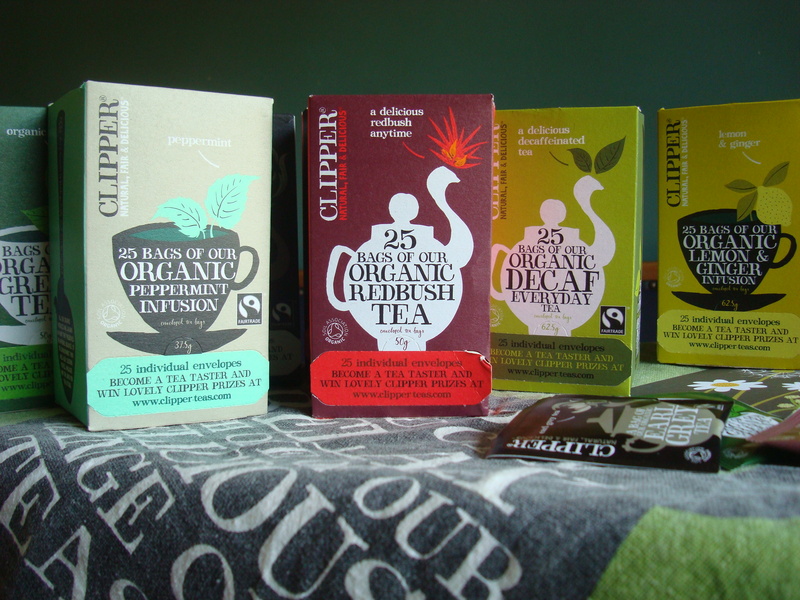 Their organic everyday tea is our household tea of choice and has been for a long time, but this week we got the chance to try some of their other teas when a large parcel with a multitude of different flavours arrived through the post. We unpacked the box with great excitement wondering what was hidden within. Teen immediately spotted the Berry Infusion and pounced on it. Before we knew it she’d filled the kettle, lit the gas and the water was soon bubbling away. Teen and the kid stood ready, berry infusion bags in hand, Sean opted for lemon and ginger and I being ever the stickler opted for English Breakfast. The verdict? Well the Berry Infusion bags disappeared within the week and declared ‘fruitier’ than similar bags from different brands; so I’d say they were a hit. The lemon and ginger certainly hit the spot too. Full of flavour and zing. We shared our bags with 100 wedding guests and the customers of the Ogwen Produce market. Most popular? well I’d say it was English breakfast and Earl Grey, but I think that’s probably because it’s the most recognisable kind. At the market the lemon and ginger worked wonders for Morgan’s hangover, I think he had three cups! A couple of people opted for the redbush tea, which is like black tea, but I’ve never been that fond of the taste which is slightly sweet, but bitter at the same time. The kid appears to have tried all the teas with equal relish. If you take the word of a nine-year old that means they are all good! 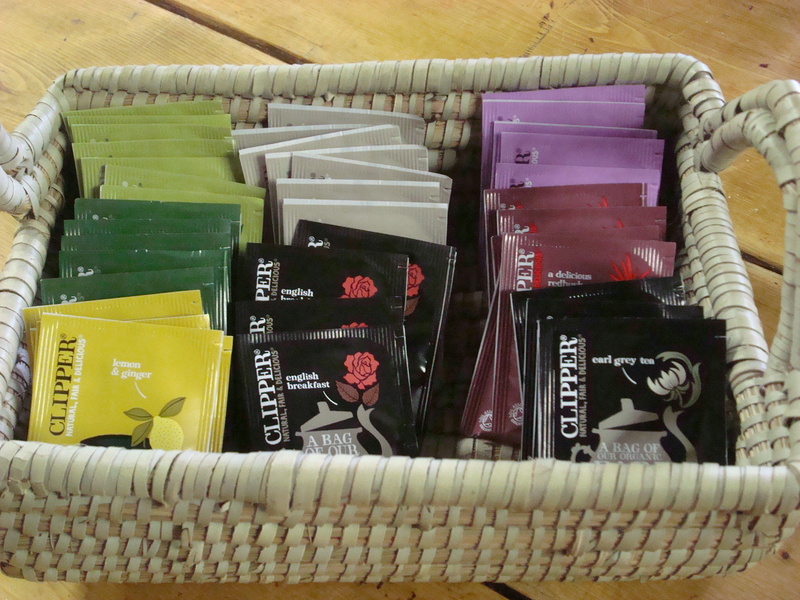 So, what did we discover from our week of tea drinking? 1. The fruity infusions are brimming with flavour. More so than other brands we’ve tried. 4. 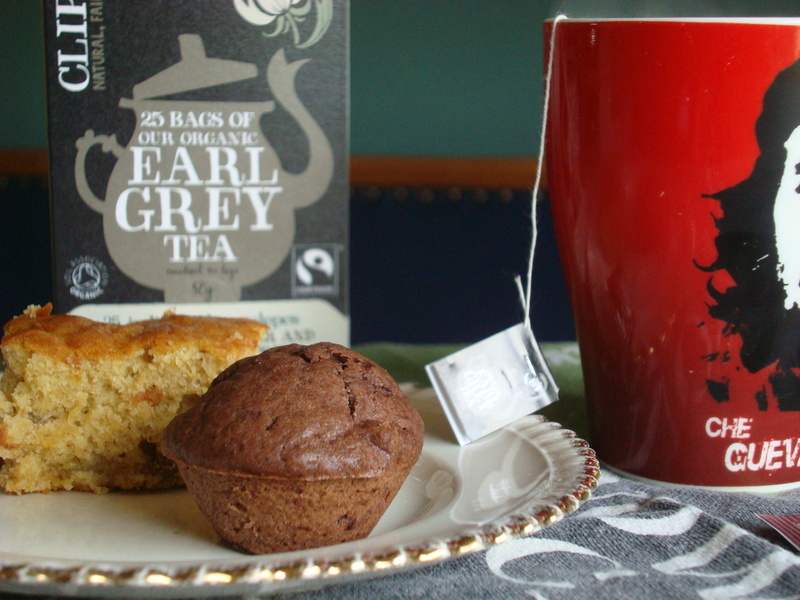 I’m still a rubbish (boring) tea drinker although I have rediscovered my love for Earl Grey….and yes sorry, I do still put milk and sugar in it….but I don’t care, that’s just the way I like it! 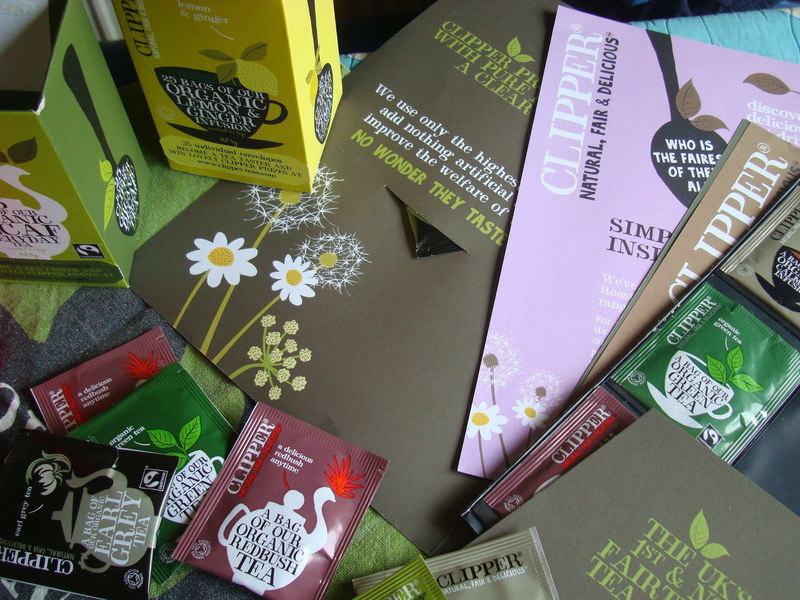 Thank you to Clipper Teas for letting us try a selection of their products. We tasted Organic Redbush, Early Grey, English Breakfast, Green tea, Camomile, Berry Infusion, Lemon & Ginger, Peppermint Infusion, Decaf everyday.